Been putting my back into it! I've really been putting my back into it today - hoof-trimming my 12 donkeys. The end result is backache and tingling forearms. It was probably better than a keep-fit session down the gym. There was plenty of sunshine on my back to get the job done - and, don't worry, I wasn't dressed as smart as this (see picture) to get the trimming sorted. 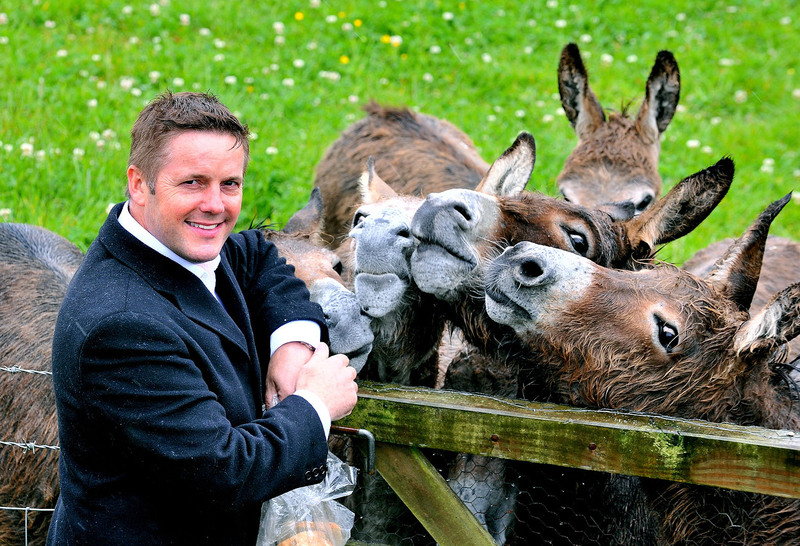 I always get asked plenty of questions about the donkeys as I travel around the country. So, here's the hot news - two of them are heavy in foal. So, very soon, we should have some new arrivals! Had a great meeting today with the team at Big Ideas Wales, the Welsh Government body trying to develop youth entrepreneurship services. Yes, you could say that we discussed 'big ideas' at Big Ideas! The meeting was very productive, with lots of great suggestions. It gives me a real buzz to know that I am doing my bit to help entrepreneurship among the young in Wales. It was great to spend a day chilling today. Left the Aston Martin parked up and went for a seven mile walk instead. This is the coastline at Burry Port, near where I live. I was glad to be part of the Leicester Investors Curry Night. I did my public speaking bit at the event and it was great to meet so many friendly and interesting business-people. Andrew Parker, pictured above, was a great auctioneer on the night and the evening raised a massive £4000-plus for the Make A Wish Foundation. I am one of the Make A Wish Ambassadors, so the fund-raising was very close to my heart. Many thanks to everyone who helped make the event such a great success. There's some interesting views on the 'Buy To Let' (BTL) market in the Bank of England's April 2013 'Trends in Lending' report. 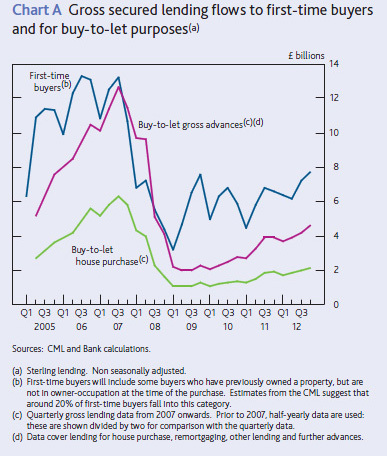 Gross lending to buy-to-let (BTL) borrowers in 2012 was at its highest in four years (Chart A). The share of BTL lending in overall mortgage lending was 11%. Total BTL lending volumes were, in broad terms, evenly split by purpose between house purchase and remortgaging. The share of new house purchase loans accounted for by BTL loans was broadly unchanged at 14%. Demand for BTL lending increased in 2012 Q4 and 2013 Q1, having fallen for most of 2012, according to respondents to the Credit Conditions Survey. Contacts of the Bank’s Agents recently reported that steady growth in BTL demand was driven by strength in the rental market. In recent discussions, some major UK lenders noted that the rise in tenant demand partly reflected some prospective FTBs turning to the private rental market due to difficulties in raising a sufficient deposit. mortgage market had increased availability. The proportion of BTL mortgages more than three months in arrears has been falling since 2009 Q1 according to data from the CML, which may have increased the attractiveness of BTL lending. 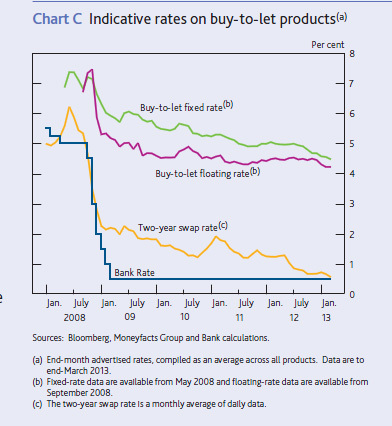 Quoted rates for fixed-rate BTL mortgages fell in the second half of 2012, according to data from Moneyfacts Group (Chart C). Swap rates fell by a similar amount, such that spreads over relevant swap rates were broadly unchanged. Floating-rate BTL spreads were also little changed over the same period. 2013 Q1 Credit Conditions Survey reported a significant reduction in BTL secured lending spreads. 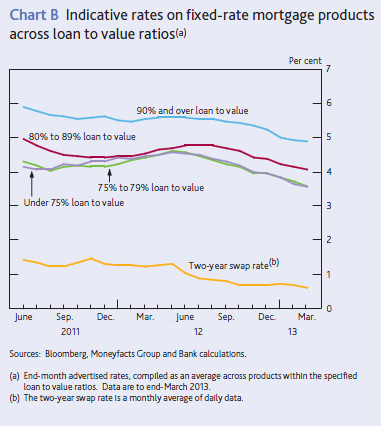 major UK lenders expected a fall in pricing at higher LTV ratios during 2013. Lenders also expected growth in lending to both FTBs and the BTL sector to contribute to an increase in gross mortgage lending in 2013. I'm looking forward to a 'catch-up' meeting with two local heroes later. Eddie Whitney is one of Swansea's most famous faces and Jimi Webb is making a name for himself as a singer throughout Wales and further afield. 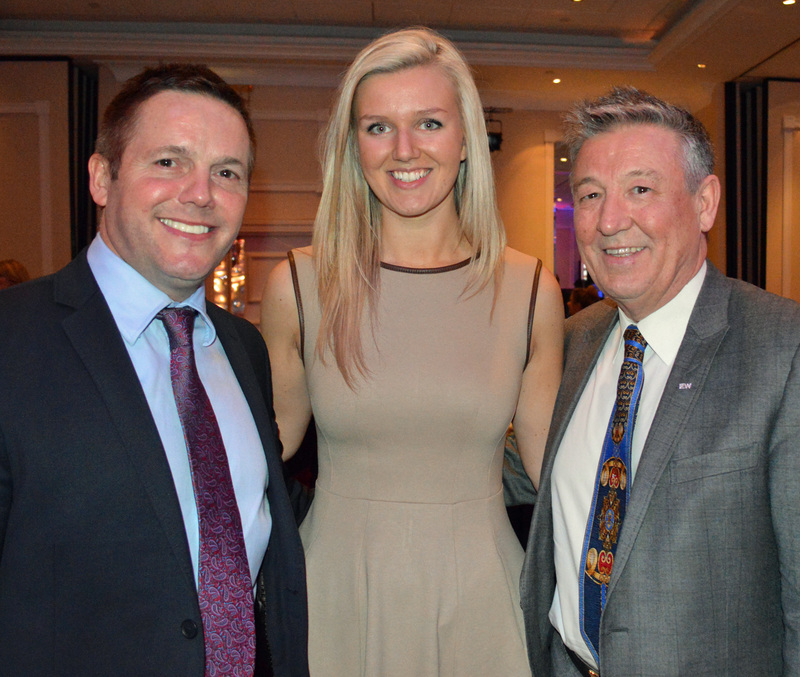 Here is a picture taken with Eddie Whitney and Frankie Sibbald, events manager at South West Wales Media newsgroup, at the recent Swansea Bay Life business managzine awards. It's a question I get asked time and time again on my travels - "When is the best time to start a 'Buy To Let' (BTL) portfolio?" Well, cue the big, dramatic drum roll . . . . This (now, today, this hour, this minute!) is the ideal time to start building a 'Buy To Let' portfolio. Let me explain why . . . Sellers are willing to take discounts. It all adds up to create ideal conditions to start a BTL portfolio. Property has doubled in price (taking inflation and the buying power of our money into account) every 10 years since 1066 (er, yes, you read that correctly, 1066!). In my opinion (and don't just take my word for it; you will find that others agree), property is a far better investment than a long-term savings account in a bank. Cut out the middle-men who use your money in investment funds. Invest some of that same money in property. It will pay to cut out the 'middle-man' and invest directly into the market yourself. Busy start to the week. Monday morning at base camp at our Burry Port offices. New finance manager Suzanne settling in really well. Our rentals wizard John-Paul is back refreshed after his hols. Wow - what a fabulous day! It was a real first - holding a Kevin Green Wealth VIP networking day in a church! The venue was the lovely St Mary's Church in Burry Port, just down the road from my home. The weather did us proud with a sparkling day to show off the very best of the coastline here in Burry Port and Llanelli. More than 200 delegates turned up for the VIP Day. It was a day full of inspirational speakers. But, probably, one young man stole the show - 10-year-old Dillon Chapman, who has been helping all of us who pull together to help the Make a Wish Foundation. My grateful thanks go to Parish Priest Michael Wheatley for the use of the church.